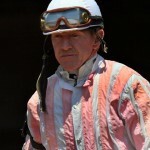 June 22 – International Helmet Awareness Day – Thank You Plastics! Some people love them, some hate them, but like them or not in June we pay homage to the humble safety helmet because June 22 is International Helmet Awareness Day. Read more. We all think of football players, hockey players, and even baseball players and motorcycle riders when it comes to helmets. Although Michigan recently changed it’s motor cycle helmet laws, if you have ridden a motor cycle in Michigan in the recent past chances are have worn a helmet. 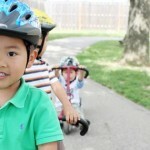 How Have Plastic Materials Changed the Use of Helmets? But would we be wearing these helmets of all shapes and sizes if it weren’t for plastic? I’ll be honest here. I ride dressage and the early helmets were less than flattering and certainly not a part of the tradition. They were plastic yes, but they were uncomfortable, hot, heavy, and well, huge! In fact, the term was bubble head. My how things have changed! Due to improved choices of plastic materials, increased demand, and testing of designs for better fit, and to achieve the most protection possible, helmets have come a long way. They are lighter, sleeker, they come in colors, cool designs, they are vented, and more. A look at helmets for bicycle riding shows the progression. The first helmets date back to about 900 BC and the Assyrian army. 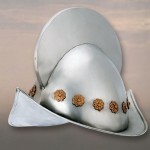 (Read more here) Early helmets were combinations of leather, or leather and bronze or other metals. Later, knights in shining armor had many styles of helmets to protect them from lances and arrows. These heavy metal pieces and took a great deal of strength to wear and even to take on and off. Due to these factors and changes in weaponry it is said that helmet use went out in the 1600’s. In fact, up until football helmets materials didn’t change much. According to Wikipedia some of the early helmets were made by shoemakers or blacksmiths. These went from plain leather to leather with padding and with fabric straps that kept the head from touching the leather outer shell. By the 1980’s the preferred material was rigid polycarbonate which is typically still the material of choice. Carbon fiber reinforcement was introduced into Tour De France bike helmets in the 1990’s and is also still widely used. 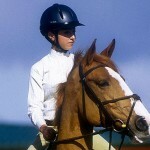 Equestrian riding helmets typically have an outer shell of ABS, or carbon fiber. The hard outer shell serves to protect the head from being pierced by a sharp object, and to spread the energy of impact over a larger surface area thereby helping to lessen impact. 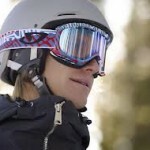 Ski helmets are typically an outer shell of polycarbonate or, if it’s painted the outer shell may be acrylic. In motorcycle helmets, users will find helmets with plastic shells, fiberglass shells, or even woven Kevlar. Helmet interiors of all kinds use a variety of foam plastics that help provide impact absorption comfort, and fit. Chin straps are added to ensure the helmet stays in place when it’s most needed and are typically made from nylon with plastic latches. We’ve come a long way since the days of the knights and their metal head gear. Flashy as those metal helmets adorned with jewels may have been, today’s protective helmets utilize plastics to provide maximum protection, durability, and yes – style. Just be sure to use them wisely, use them always, and if you have a fall, don’t think your helmet is OK just because it didn’t crack. Once your helmet has been through an impact it’s best to replace it. Also, be sure to get the right helmet for your sport. As you can see in the photos on this post there are many styles. Those styles are based on how you use them. A bike helmet doesn’t work for someone riding a horse or vice versa. Most of all, celebrate National Helmet Safety month by getting out and doing the sports you love most, and maybe say a little thank you to world of plastics on your way. This entry was posted in Uncategorized on June 25, 2013 by ainadmin. Many different Plastics find their way into Aerospace applications today. The opportunity to reduce weight has been a universal driving force for years. Each pound reduced translates to lower fuel costs, longer range, and higher efficiency throughout the life of the aircraft. Metals range from 4-6 times heavier than plastics, so the opportunity to find weight savings is significant. PEEK is available for Aerospace applications in its Virgin Form as well as in a host of enhanced versions. AIN Plastics stocks a significant and can get to you FAST. This entry was posted in Uncategorized on June 4, 2013 by ainadmin.